Mr. Marotta was appointed to the role of President and Chief Executive Officer of the Company and Chief Executive Officer of the Bank in November 2018. Prior to these appointments, Mr. Marotta served as Senior Executive Vice President of the Company and President of the Bank from 2015. Mr. Marotta joined the Company in 2010 as Executive Vice President, Chief Risk Officer and has held additional positions including Chief Credit Officer and Chief Administrative Officer. He is responsible for compliance, commercial banking, specialty lending, loan workout and oversees Berkshire Bank’s Foundation. Mr. Marotta was previously Executive Vice President and Group Head, Asset Recovery at KeyBank. Mr. Gray was appointed to the role of Senior Executive Vice President of the Company and President and Chief Operating Officer of the Bank in November 2018. Prior to this appointment, Mr. Gray was Senior Executive Vice President of the Company and Chief Operating Officer of the Bank from 2015. Mr. Gray joined the Company in 2007 as First Vice President, Retail Banking and has held various position including, Executive Vice President, Retail Banking and Senior Vice President. Mr. Gray is responsible for the operating teams of the bank, including retail banking, mortgage banking, government banking, cash management, wealth management, insurance, and marketing, as well as Human Resources. Prior to joining the Bank, Mr. Gray was Vice President and Consumer Market Manager at Bank of America, in Waltham, Massachusetts. Mr. Moses is Senior Executive Vice President, Chief Financial Officer of the Company and the Bank, since joining the Bank in July 2016. He is responsible for the accounting, treasury, tax, and capital markets functions. Mr. Moses previously served at Webster Bank as Senior Vice President and Asset/Liability Manager. Mr. Moses joined Webster Bank in 2011 from M&T Bank where he spent four years in various roles including head mortgage trader, deposit products pricing manager and consumer credit card product manager. Mr. Bacigalupo was promoted to Senior Executive Vice President, Commercial Banking in September 2015, having previously served as an Executive Vice President since October 2013 and Senior Vice President, Chief Credit Officer since 2011. 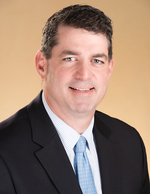 Mr. Bacigalupo is responsible for commercial banking, including the middle-market, business banking and asset based lending teams in Eastern and Central Massachusetts and Connecticut. Previously, Mr. Bacigalupo was EVP of Specialty Lending at TD Banknorth, where he established the ABL and other middle-market lending groups. Subsequently, at TD Bank, he was the Senior Lender for New England. Ms. Gunsch is Senior Executive Vice President & Director of Relationship Banking, she also serves as President of First Choice Loan Servicing, a subsidiary of Berkshire Bank. In this role, Ms. Gunsch is responsible for all aspects of the retail banking consumer experience, including branch operations, consumer lending, private banking, investment services, call center, electronic/mobile banking and MyBanker team, as well as the deployment of the Bank's relationship banking strategy across all lines of business. Ms. Gunsch has previously held the positions of EVP, Retail Banking and Senior Vice President. 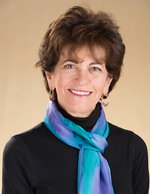 Ms. Gunsch joined Berkshire from Citizens Bank in 2009 as First VP of Retail Banking. Mr. Lindenmuth is Senior Executive Vice President, Chief Risk Officer of the Bank, a position he was promoted to in October 2018. Mr. Lindenmuth is responsible for enterprise risk management as well as loan review, information security and strategic services. Mr. Lindenmuth joined Berkshire in 2016 from the FDIC where he was employed for 24 years and held multiple positions including Senior Risk Examiner for the Division of Risk Management Supervision and Acting Regional Manager for the Division of Insurance and Research. With the FDIC, Mr. Lindenmuth was also a Capital Markets, Mortgage Banking and Fraud Specialist. Ms. Melas is Senior Executive Vice President, Chief Credit Officer of the Bank, a position she was promoted to in October 2018. Ms. Melas is responsible for managing the aggregate risk in the Bank’s loan portfolio. She oversees the Bank’s commercial and consumer credit and is responsible for attainment of lending objectives and the overall direction and operations of the credit department. Ms. Melas joined Berkshire as Senior Vice President, Chief Credit Officer in 2015 from Key Bank where she held multiple positions including Senior Credit Officer, Commercial Banking. Mr. Prescott is Senior Executive Vice President, General Counsel and Corporate Secretary of the Bank, a position he was promoted to in October 2018. Mr. Prescott joined Berkshire in 2008 as VP, General Counsel and Corporate Secretary. Mr. Prescott has 30 plus years of experience in the legal profession, including extensive experience as in-house corporate counsel, and holds a law degree from Boston University School of Law. Ms. Stephenson is Senior Executive Vice President, Compliance and Regulatory for Berkshire Bank, a position she was promoted to in 2018. Ms. Stephenson previously held the positions of EVP, Compliance and Regulatory and SVP Chief Compliance Officer. Ms. Stephenson joined Berkshire in 2014 from Country Bank where she served as the Executive Division Leader for Retail Banking, Human Resources, and Training. As SEVP, Compliance and Regulatory Ms. Stephenson is responsible for all aspects of the bank’s regulatory compliance programs. Persons seeking to communicate with the Board of Directors, any director, independent directors of the Board as a group or any committee of the Board should send a letter to the Corporate Secretary at Berkshire Hills Bancorp, 24 North Street, Pittsfield, MA 01201. The letter should indicate to whom the communication is intended. The Corporate Secretary or the secretary of the designated committee may sort or summarize the communications as appropriate. Communications that are commercial solicitations, customer complaints, incoherent or otherwise inappropriate will not be communicated to the Board or any director or committee of the Board.